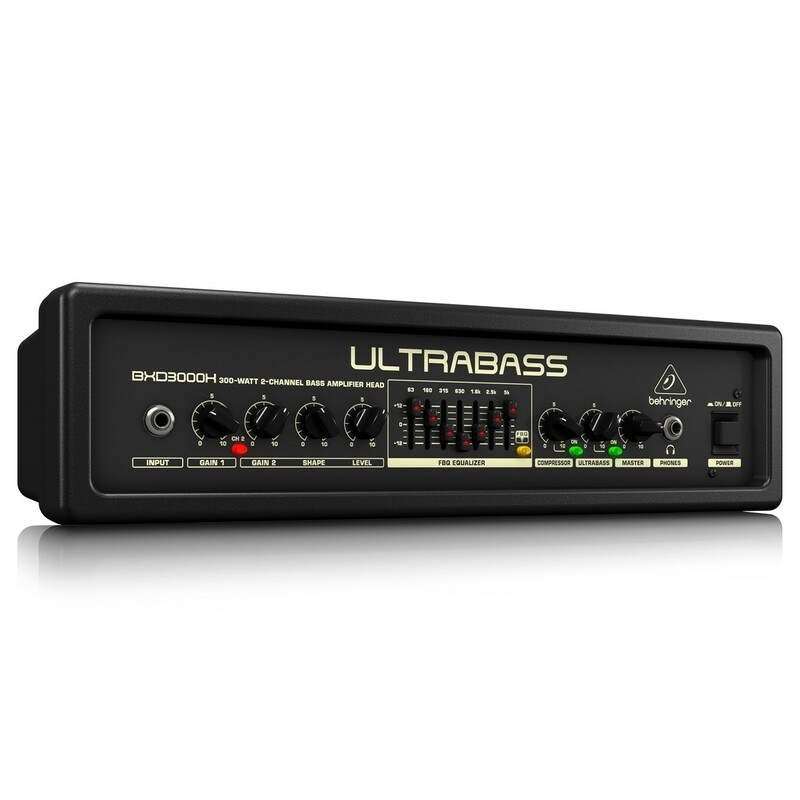 The Behringer BXD3000H Bass Amp Head offers 300-watts of output power and revolutionary Class-D amplifier technology for an outstanding sonic performance. The amp head features 2-channels, one clean channel and one distortion channel. 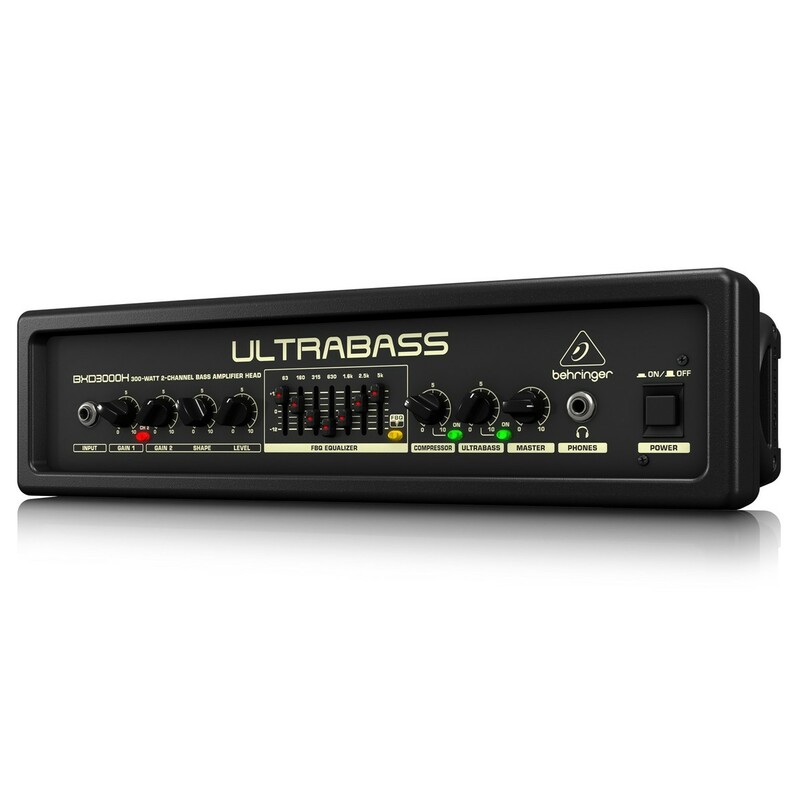 The clean channel emits true bass tones and has a dedicated gain control whilst the second channel provides a more aggressive sound with gain, shape and level controls. The BXD3000H includes a musical 7-band EQ, subharmonics processor for low end power and an integrated compressor to smooth out any signal peaks. With a CD input, users can choose to sing or play along to their favourite music or practice in quiet with the headphone output. With Class-D amplifier technology, powerful sonic performances are available within lightweight speaker systems such as the BXD3000H. 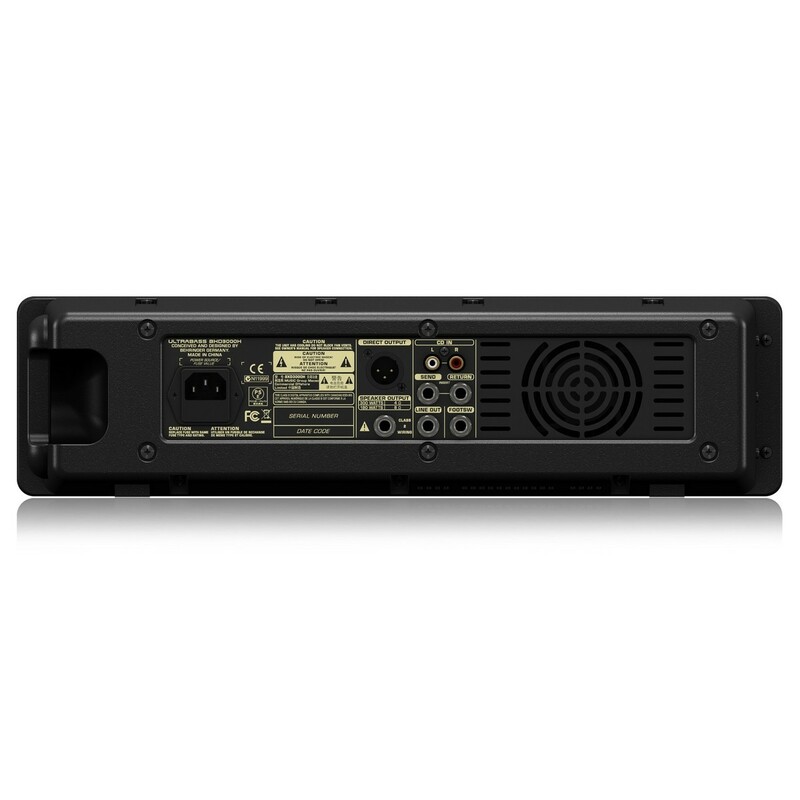 The technology eliminates heavy duty power supplies and heat sinks, making the speaker both environmentally friendly and energy efficient. Each channel on the BXD3000H offers different sound characteristics for users to choose from. 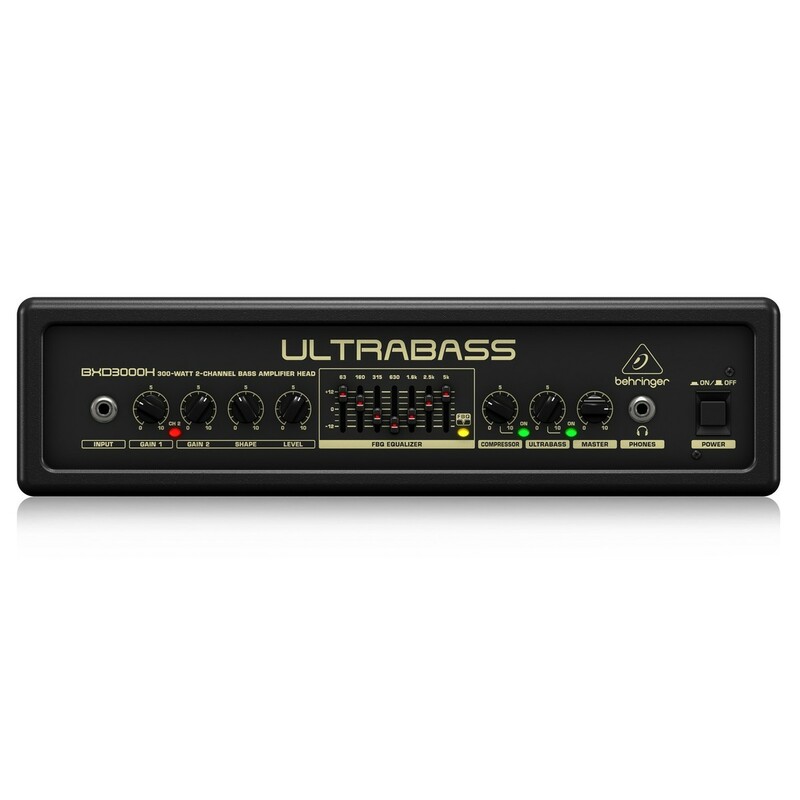 Channel 1 delivers a clean, pure bass tone whereas Channel 2 adds a little more power and aggression. Bassists can switch between channels via the front panel button or by using the supplied dual-function footswitch. There is also a proprietary shape control, letting users choose from a wide variety of sounds. Deriving inspiration from the classic studio equipment of the 1970s, the BXD3000H features a transparent and musical compressor design. The component allows the full dynamic range to shine through until the signal hits its limit, which is easily monitored via the LED status. The quality compressor adds sustain whilst smoothing out more abrupt signal peaks such as aggressive metal lines or funk riffs, allowing you to play impactful bass lines whilst remaining in the mix.